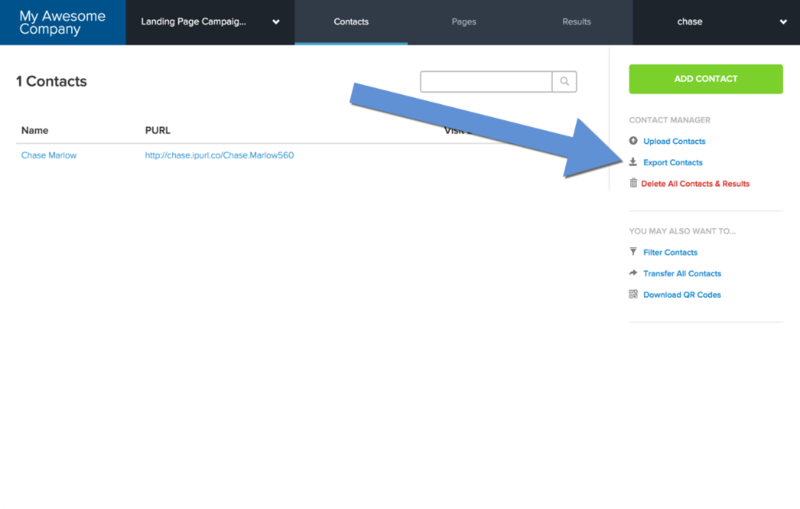 After you add/upload the contacts to your campaign, you'll likely want to download all of the created PURLs to send to your printer or email application. 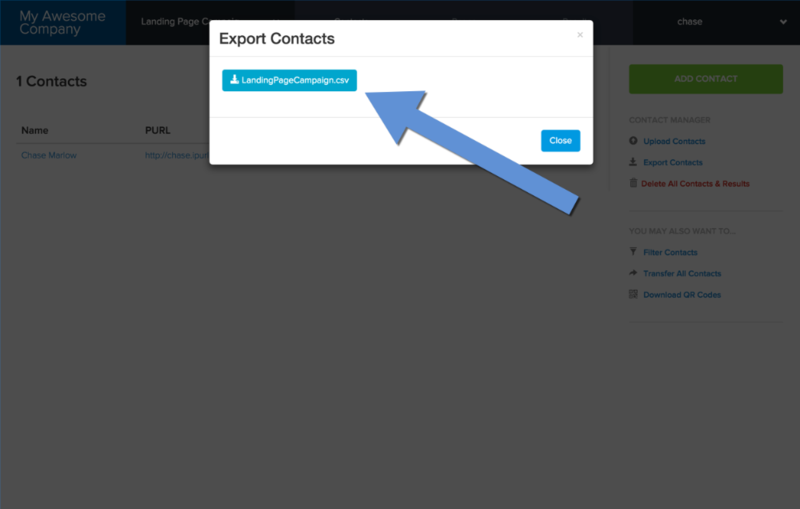 To download the PURLs to a spreadsheet file, select Export Contacts under the Contacts tab. 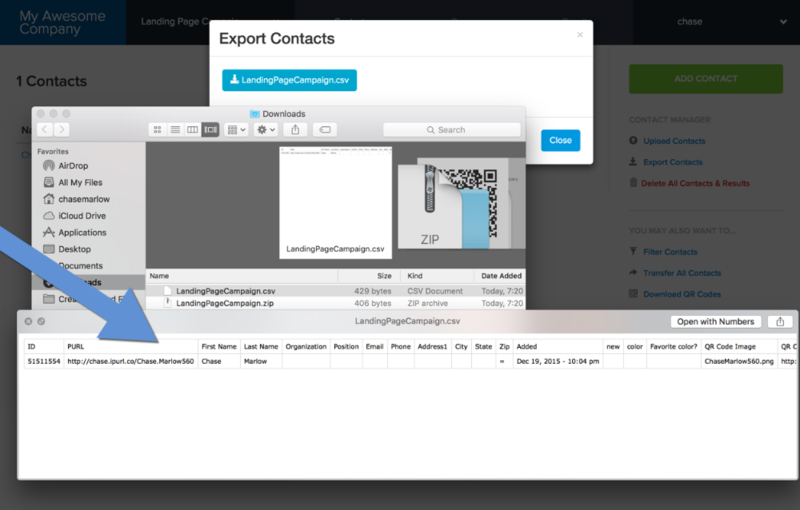 You'll be provided with a file (or multiple files for larger data sets). Simply click on the file name to start the download. Large data sets could take a couple minutes to download. Once download is complete, you can open the file in a spreadsheet application like Microsoft Excel to see the PURLs for each contact. This file can be sent to your printer, or uploaded into your PURL marketing platform.